Email marketing is the promotion of products and services to your audience via email. 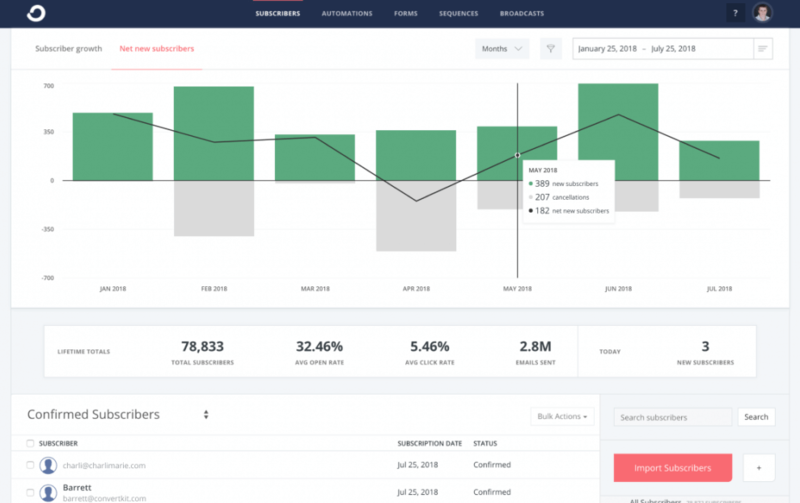 Successful, long-term email marketing depends on building trust with your audience. Your email list is vital to the success of your business because it’s the most direct way for you to communicate with your fans and future customers. As marketing expert Amy Porterfield says, “The energy of your business is directly tied to the strength of your email list.” I agree with this whole-heartedly. 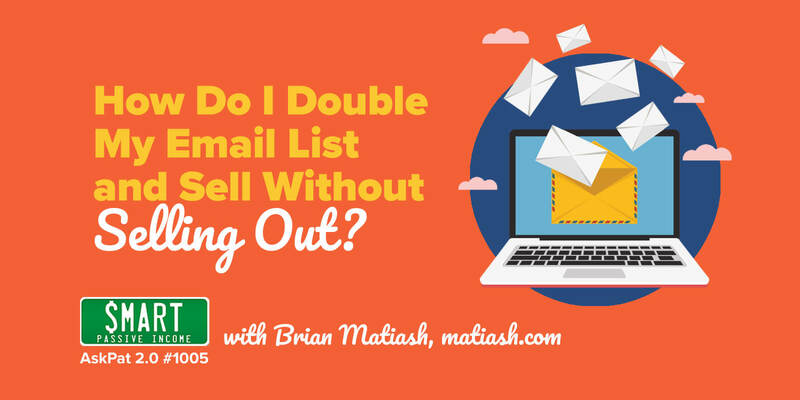 When I started my first two online businesses back in 2008, I waited to start an email list. That’s right—I made this mistake twice! I had active and engaged audiences, but remember—even fans may not check your website regularly. By waiting to collect email addresses, I missed out on a huge opportunity to connect regularly with my audience, and when I was ready to sell to my audience, I didn’t have a way to let them know. I missed out on sales because I hadn’t taken the time to build a relationship over email. If you want to build an online business, you must focus on starting and growing an email list—now. If you don’t know how to start building a list, don’t worry. I’ve got you covered: check out my 72-hour 100 Email Challenge below. Before I get too deep into the resources, I first want to share the biggest lesson I’ve learned related to email marketing: it’s not the size of your email list that matters, it’s the quality of it. Focus on quality over quantity. A strong business solves problems—focus on finding the people who have the problems that your business solves. On this page, you’ll find the resources you need regardless of your list size. If you haven’t started yet, check out my free 72-hour 100 Email Challenge in the Tutorials section, which will help you get your first 100 email addresses within three days—all without spending any money on any software. If you already have a list and need help learning what kinds of emails you can send your audience, make sure to download Email the Smart Way in the next section. Your subscribers are people, not dollar signs. Your primary goal is to serve your audience, not sell to them. When your audience succeeds, they will look for ways to pay you back. You will find that it’s much easier to write emails when you think about your audience as trusted friends. It’s also more exciting to do the work of building your list when it means that you’re building meaningful relationships. 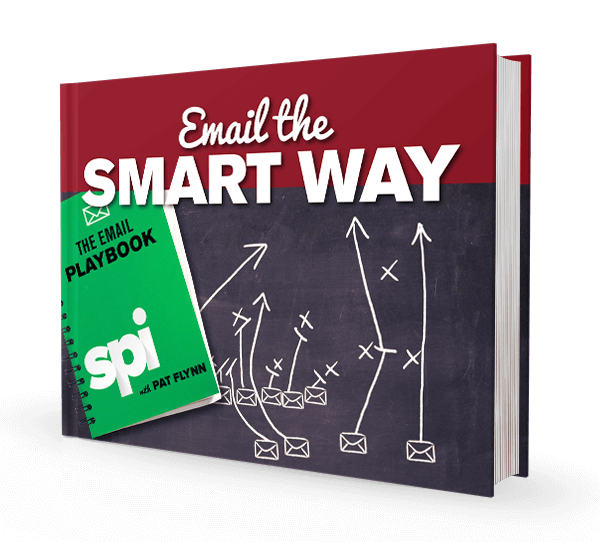 With that in mind, scroll to the next section to find my playbook, Email the Smart Way, which walks you through ten different kinds of emails you can send to your audience. Click the green “Get Your Free Copy Now” button to download. You have an email list—but now what? Email the Smart Way will make sure you never run out of emails to send to your email list—and it’s completely free! Email the Smart Way is designed to help you write emails that will connect with and serve your audience. It will teach you how to provide value and build a trusting relationship with your audience. But what if you don’t have an email practice set up yet? In the next section, you’ll find two resources specifically for you—my in-depth tutorial on How to Start an Email List, which walks you through the entire process of setting up your account, as well as my 0 to 100 Email Challenge, which shows you how to find your first 100 email subscribers. 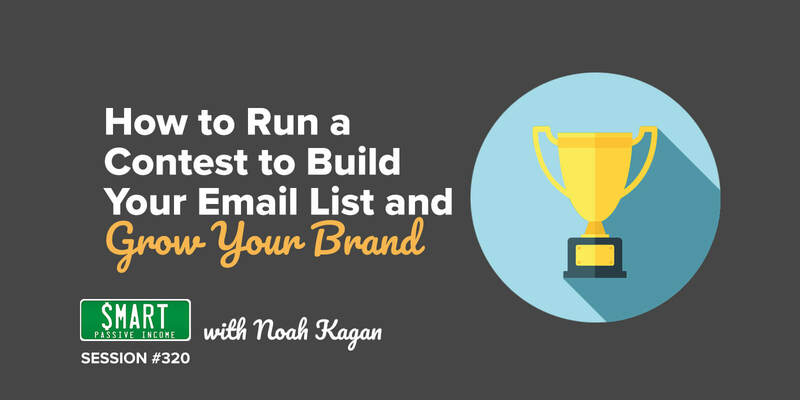 Once you have your email list established, the fun begins! This is how you get to know your audience better, and as you do, I recommend you begin a process called “segmentation,” where you identify specific needs of sub-groups of your audience. This will allow you to create content and offer resources just to the people who need them, without bothering your audience members who aren’t ready for that content yet. Read more on segmentation in the next section. There is far more on this page than you can absorb in one sitting! Don’t worry—these resources will be here for as your business grows. 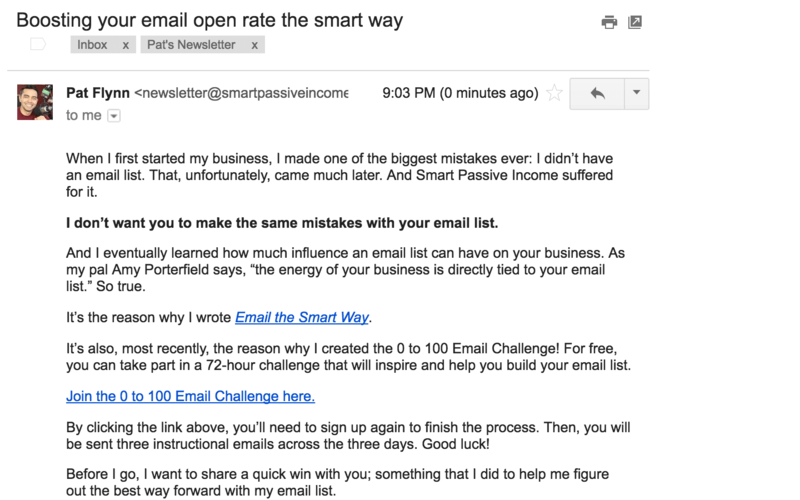 I keep it current with the latest advice for improving your email marketing. Let’s get started! My complete guide to setting up an email list, including six videos to walk you through the process, step by step. Learn how to build your email subscriber list in just 72 hours! I walk you through how to find your first 100 subscribers. 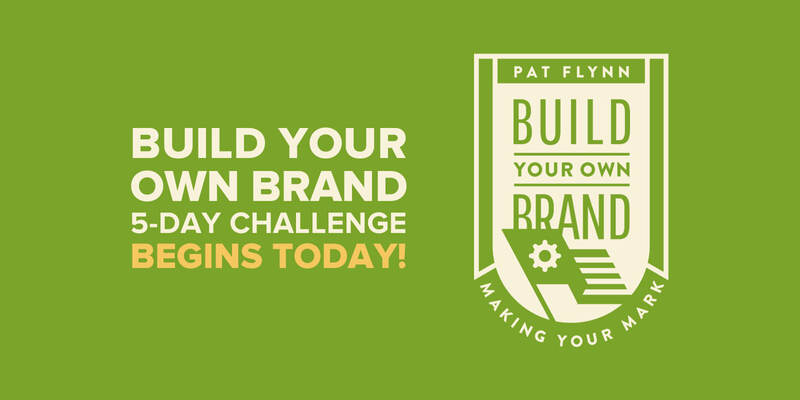 This free five-day challenge will help you establish your brand, including setting up your website and email. This is an in-depth post on how to segment your email list. Segmentation is a powerful tool for selling products without overwhelming your readers. If your list is up and running, this is the tutorial for you. Sumitha Bhandarkar, owner of AFineParent.com, shares her story about building an email list before ever launching her blog. 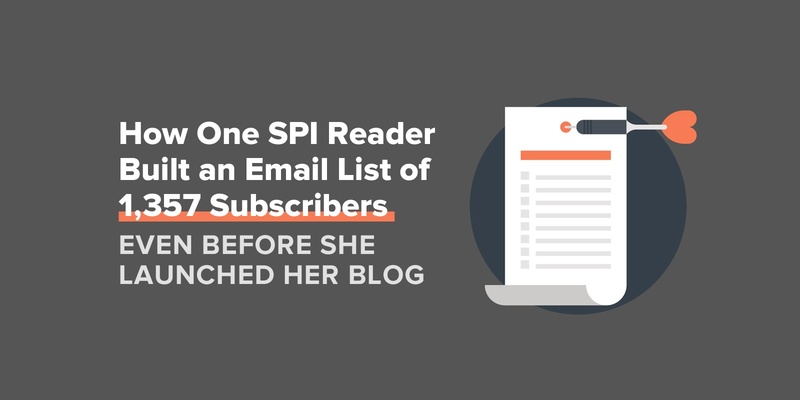 In this session of the SPI Podcast, Steve Chou shares some small tweaks he made to his email marketing that yielded big results. Content upgrades are a powerful tool for building your email list. Here are ten ideas to help you generate your next content upgrade! Instagram can be a surprisingly effective tool for marketing your business—if you do it right. In this guest post, Nathan Chan from Foundr Magazine teaches how Instagram can help you grow your business and engage with your followers. KingSumo creator Noah Kagan teaches how to grow an explosive online following and brand using viral giveaways. I’m so excited that you’re ready to get started your email marketing practice! Email has been the most important tool for growing my business, and I want you to have that too. I know that as you get started with email marketing, you may have questions. This is where the AskPat Podcast can help you out. Listeners just like you ask questions, and I answer them. Here are the top questions (and my answers!) on affiliate marketing. If you don’t see your question here, apply to be on the show! Today’s question comes from Emilio. 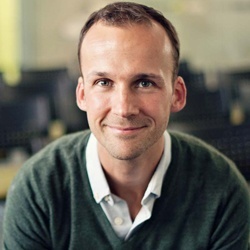 How can he improve the open rate for his email marketing? In this episode, I recommend GlockApps.com, a great tool for testing emails before you send them. Today’s question comes from Steve, who has a question about email lists. Is it better to have people find your email list organically, or to use a pop-up to help them find it? Today’s question comes from Cesar, who has a question about creating calls to action to convert podcast listeners to subscribers. How do you craft the perfect call to action? Today's question comes from Glenn, who has a question about growing his email list by using his email list. He has about 30k people on his list, so how does he continue growing his list by tapping into his audience? Today’s question comes from Craig, who has a question about reaching out personally to his audience to start growing his email list. What should he include in the email to make an impact? How can he better personalize emails? What should be the ask be in his first email to his audience? Today’s question comes from Sean, who has watched the bounce rate on his emails steadily increase. Should he be concerned about this? Today’s question comes from Tracy, who asks about selling to her email list. Should she pitch her product to her entire list or just to a targeted segment? Today’s question comes from Leslie, who has a question about building email lists. What email marketing plugins works best for a WordPress.com (not self-hosted) site? Today’s question comes from Mark, who has question about the “cold subscribers” on email lists. What are the pros and cons of engaging with cold, or inactive, subscribers? Today's questions comes from Mike, who asks about single opt-in email. Is it okay to use single opt-in? It seems easier, so what is the down side? I’m so excited that you’re setting up your email program! You are going to serve a lot of people, and I’m so grateful to help you get started. Thank you for allowing me to share the lessons that I’ve learned about the power of email. By now, you may have realized that the best way to stay connected to my advice is to join my email list! Scroll back up the page, download Email the Smart Way, and I’ll subscribe you to my series on email marketing tips, as well as stay in touch with more advice for you and your business. I can’t wait to see the business you’ll build!